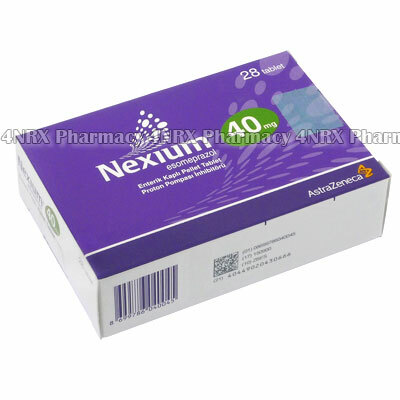 What is Nexium (Esomeprazole Magnesium) used for? 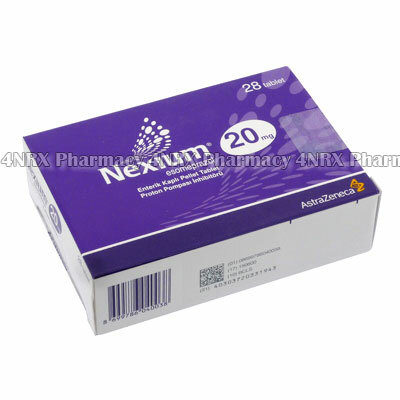 Nexium (Esomeprazole Magnesium) is a proton pump inhibitor prescribed to treat patients suffering from gastro-oesophageal reflux disease. The medication operates by decreasing the amount of acid produced in the stomach to prevent symptoms such as heartburn, damage to the oesophagus, or bloating. This action may also make it useful for treating peptic ulcers or eliminating helicobacter pylori bacteria when used along with antibiotics. Your doctor may prescribe it to treat other unlisted conditions, as well. How should I use Nexium (Esomeprazole Magnesium)? Follow your doctor`s instructions while using Nexium (Esomeprazole Magnesium) to get the safest and most effective results from treatment. The typical dosage is one tablet taken each day on an empty stomach, but your individual instructions will differ based on your health condition and the severity of your symptoms. Swallow the tablets whole and unaltered with a large glass of water. Never split, crush, or chew the medication before use as this may destroy or alter the effects of their contents. Always ask your pharmacist or doctor any questions you have about the medication to ensure the correct application. What are the side effects of Nexium (Esomeprazole Magnesium)? Inform your doctor if you experience any symptoms that worry you or if more serious side effects occur including dizziness, irregular heartbeat, severe diarrhoea that is bloody or watery, choking sensation, muscle cramps, irritability, tremors, or seizures. These conditions may require immediate medical assistance or adjustments to your regimen to prevent further complications from occurring. Do not begin using Nexium (Esomeprazole Magnesium) if you are breastfeeding, pregnant, lactose intolerant, fructose intolerant, or who have had a bad reaction to similar treatments in the past. Also inform your doctor if you have osteoporosis, a vitamin B12 deficiency, severely reduced kidney function, or severely decreased liver function. These conditions may cause unexpected complications requiring special adjustments to your regimen. Strictly use Nexium (Esomeprazole Magnesium) as prescribed and follow all instructions provided by your doctor. Safe, suitable, and optimum dosage can vary and is dependent on the patient`s health and medical history, as well as the condition you are treating. Nexium (Esomeprazole Magnesium) may not be safe or suitable for all patients. Always ensure your doctor is informed if you are pregnant or breastfeeding, using any other type of medication (including non-prescription medicine, vitamins, and supplements), as well as if you have any allergies, other illnesses, or pre-existing medication conditions.